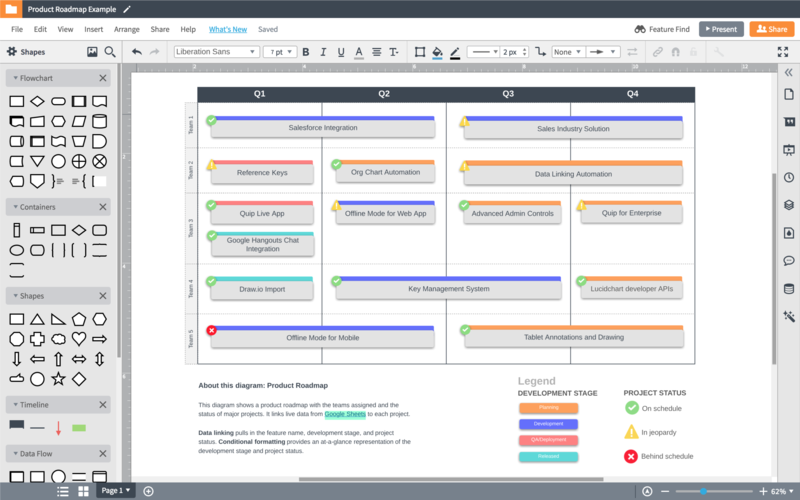 See how Lucidchart can help you streamline your engineering org. Simplify and speed up the onboarding process by including visuals. When you create diagrams in Lucidchart and make them readily available, employees can be more self-sufficient in their onboarding and quickly gain knowledge about the code base and systems that’s essential for succeeding in their role. 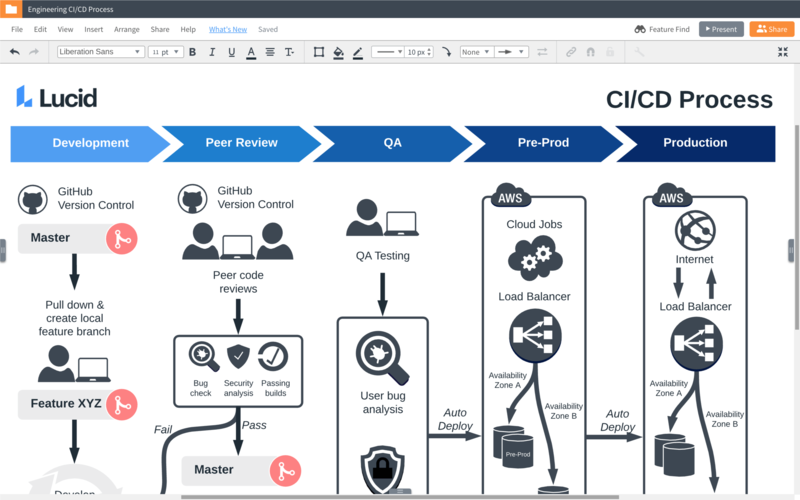 Keep your organization on the same page by giving them access to process flows, system documentation, and network diagrams. With a centralized account, your organization can retain all Lucidchart documents to keep knowledge within the company and make sure that employees don’t take proprietary information with them. 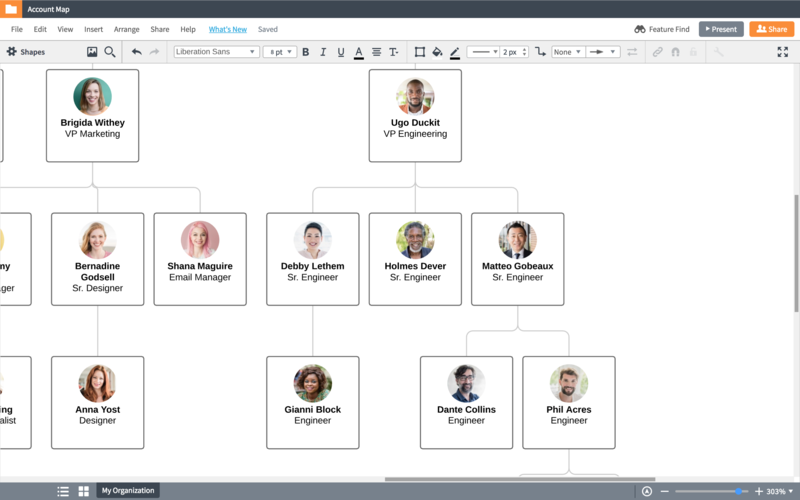 In Lucidchart, you can create org charts that help you efficiently structure your teams and process maps that you can roll out across your org to promote organization and consistency. 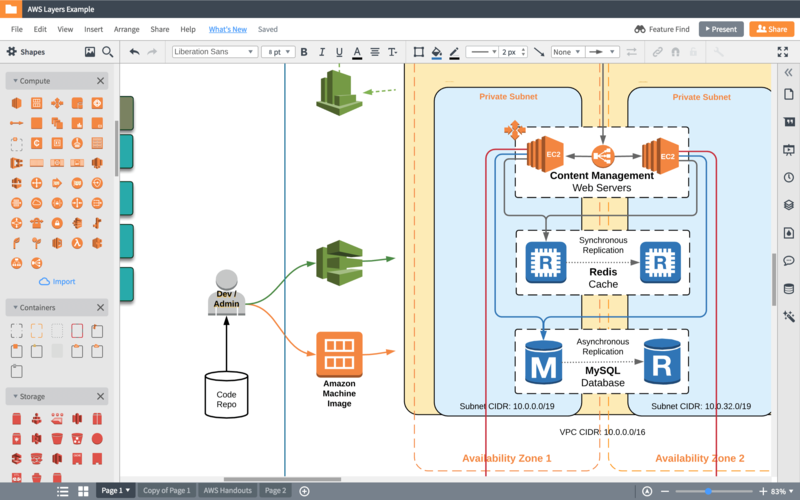 Using Lucidchart’s integrations with platforms such as Confluence and Jira, you can house your up-to-date documentation in a single location that everyone can access. Lucidchart helps streamline communication and bridge the gap between departments. Using visuals, stakeholders can present their team’s plans and initiatives to both technical and non-technical audiences and demonstrate how they support the organization’s objectives as a whole. BetterCloud builds enterprise products that enhance the day-to-day experience for G Suite administrators and users. To build products of this caliber, we create UML diagrams, process flows, and database designs. We know that real-time collaboration and innovation is essential—that's why we rely on Lucidchart for all these critical artifacts.